​Have you applied for jobs & never heard back? ​Has this happened to you? Check out this no cost tool to help get you automatic updates on your applications from thousands of employers. This was featured on CNN, in the Wall Street Journal, and US News & World Report. ​Click here and enter the appropriate job descriptive information in the keywords box, location box and search radius box. If you wish you can search by job title only by clicking search job title only. You may also search by company, exact phrase or by category. Once you have registered register here you can set a job alert so the system will notify you when an appropriate job is posted. You can do this as part of a search just by running any job search and then click the “Save Search” button at the top of the search results. ​Doing this will result in a pop up box display which allows you to name your saved search (for example, “Sales jobs in Chicago”) and set the frequency you would like to receive the email alerts of any jobs that match your criteria. You can choose to have the alerts emailed to you on a daily or weekly basis. If you would rather log back into your account to check on the results than receive an email, you can select never from the drop down menu. ​Must read MarketWatch article 14 Tips and Resources for Finding Work in Retirement. ​Very much appropriate for workers of all ages. ​​These pages provide content for people looking for employment and include a link to our job search engine and information to help you in your job search. Whether you are seeking a temporary, part-time, seasonal job or project assignment, or would like to post your resume or set a job alert to notify you should a job be posted that matches your experience and interests, this area is the place to look. All these services are free and although we would like you to register, it is not necessary that you do so. According to a CareerBuilder survey forty-five percent said they will look for work post-retirement. Among those who do plan on working after retiring, consulting, retail and customer service work are the most popular disciplines. The survey also provided good news for workers looking for employment at the end of their careers. Fifty-three percent of employers plan to hire mature workers (age 50+) in 2014. By Kerry Hannon as seen in Forbes. They’re not stepping up to the plate. If you genuinely want to land a job, you need to get in the game. The would-be job hunters AARP surveyed used the words “may” and “try.” That’s a tad tenuous and wishy-washy. To me, it doesn’t sound like a crew who is in it to win it. My advice: Don’t just noodle the idea. If you want a new job, get serious. Yes, it takes time — 10 months, on average, for someone over 55, according to the U.S. Bureau of Labor Statistics. But, like anything else, if you want to be successful, you’ve got to put your heart into it. They’re setting their money expectations too high. A whopping 74% of job hunters in AARP’s survey said they want a new position to make more money. But the sad truth is that pay is one of the biggest roadblocks for job hunters over 50.My advice: Rather than accept a position where you will resent the pay or walk away from an offer that is not up to snuff, consider ways to negotiate. See if you can bump up your benefits — more flextime or telecommuting, more vacation days, new workplace development and education opportunities and other perks. A flexible workday might be more vital to you now, giving you more time to do the things you value, such as travel or learning. Health insurance, retirement savings plans and paid time off can play a critical role in defining your ideal job more than base pay, too. Don’t get so caught up in prestige, salaries and titles that you become blind to prospects and great opportunities to move in new directions. They’re not keeping their skills up to date. More than one in five of the job seekers AARP surveyed (21%) said their “need to update technology skills” may hinder them from getting a new job. I know: It’s hard to pull your head up from your current projects to find time, and, often, the money for skills training. But if you want to get hired elsewhere, you must prove to an employer that you can improve its business and bottom line, and that means having the necessary skills. Look at the precise requirements of the jobs you’re applying for. If you don’t have them, get them. A hiring manager who sees that you’re taking classes or working toward a professional certification knows that you’re not trapped in your ways and are willing to learn new things. They’re not using the best job-search tool. The job seekers AARP surveyed said the tools they most commonly used in their search were: online listings (62%), personal contacts (40%) and company career listings (33%). It’s not that online and company listings aren’t a good place to start looking for a job. But most positions are filled either internally or through referrals. That’s why I urge job hunters to network, network and network. Those personal contacts can be gold. Make it a point to tap your friends, relatives, former coworkers, social media connections and anyone else who springs to mind. If there’s a specific industry you’re interested in, join an association associated with it. Attend industry and professional meetings and conferences. College and university career centers help alumni, too, through networking events and workshops. Join a job seekers meet-up group in your town or launch your own. Get together with these people on a regular schedule to share contacts and leads and help each other stay confident, active and responsible for your job hunts. ​Read the entire article as it appeared in Forbes "The 4 Things Older Job Seekers Are Doing Wrong"
​How do you go from full-time employment to a phased retirement? Read these nine tips to keep both you and your employer happy. Talk to coworkers. See if you can find someone at your workplace who is phasing into retirement, or someone who did so recently, Rix advises. "Ask them how they negotiated, what their experiences have been and what advice they can offer you." Be clear about your vision. Do you want part-time rather than full-time work for a fixed period, say, scaling back to a four-day week, then maybe to a three-day week? What's your time frame? "Having an idea of when your phased retirement will likely end helps your employer to plan for your replacement and might make him or her more receptive to considering phased retirement for you," Rix points out. Outline your exact duties in the new arrangement. Which of your job responsibilities would you continue to meet? Who would handle the other tasks? Think it through, from your employer's perspective, so you can identify advantages for the firm, says Rix: "Is there a promising subordinate or junior staffer who [with training from you] could fill your shoes eventually? This is another reason to have a departure date in mind — your successor needs to plan, too." Set a salary expectation. What would you be comfortable with in terms of salary and benefits? Knowing what you're aiming for helps frame the discussion. But you can be pretty sure you'll have to take a haircut on pay. Expand your definition of "phased retirement." Decide what matters to you. Do you want to work from home or come into the office? Do you want firm hours or a looser structure of just getting the job done? Solve special problems. Cali Williams Yost, founder of Flex+Strategy Group, suggests that you ask yourself: "What's something my employer struggles with consistently, and how could retaining my talents through a phased retirement solve that issue?" You might, for instance, be assigned only to special projects that no one else has the time for. Use mentoring as a bargaining chip. "We live in an era where managers are increasingly concerned about mentoring younger employees [or new employees] in the business," says Farrell. "Training budgets have typically been cut back in recent years. Every organization — nonprofit and for-profit — is running pretty hard, trying to do more with less." That makes mentoring an incredibly prized commodity. You're an experienced employee. You know the industry and how to get the job done. That can be a powerful tool to an employer to train replacements or welcome millennial employees into the department. Start the conversation. Once you have your blueprint, schedule a meeting with your boss. Do this a year or more ahead of time, particularly if this is new territory at your workplace. But you don't want to raise any alarms. You don't want to give off the vibe that you're not fully engaged in your work and are pondering an exit. You need to assure your boss that you're not looking to abruptly jump ship, but rather trying to develop a smooth transition that will benefit the company in the long run. Create regular checkpoints. Pitch your proposal on a trial basis with built-in periodic reviews to see whether it's working for the manager and working for you. "A regular conversation can help minimize any doubts and head off potential conflicts while maximizing the odds that you'll enjoy your phased retirement," Farrell says. "The phased retirement needs to work for you not just financially, but also keep you engaged with the work you're doing and around colleagues you like." After all, as the Bachman-Turner rockers sang, you don't want "to work at nothing all day." 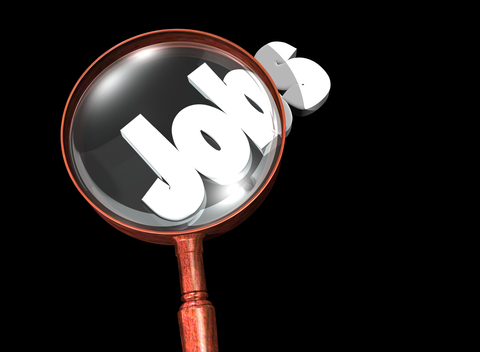 ​Do some sleuthing to see which skills will boost your job prospects. A few hard skills (specific, teachable abilities that may be required) likely to make the list: Social media, data analysis and sales. To find out which skills are required for the type of work you want, hit the job boards, pull up job descriptions you’re interested in and make a list. Do an inventory of your soft skills. These are personal attributes that help you work better with others. Employers want to be sure that you’ll work easily and efficiently with your coworkers, your supervisor and perhaps the organization’s customers or clients. They also want to see that you can think on your feet and are equipped to make smart decisions. Focus on your transferable skills and how they can help you land work. Although you may need additional training to pick up a new job or navigate a career change, many skills you already have are transferable to a new field. You just need to apply your current skills in a new way. Seek out gratis retraining opportunities. Stop into your local American Job Center, commonly referred to as Career OneStops, advises Magnus. There are nearly 2,500 nationwide. “The staff can help older workers navigate the process of upgrading their skills,” he says.